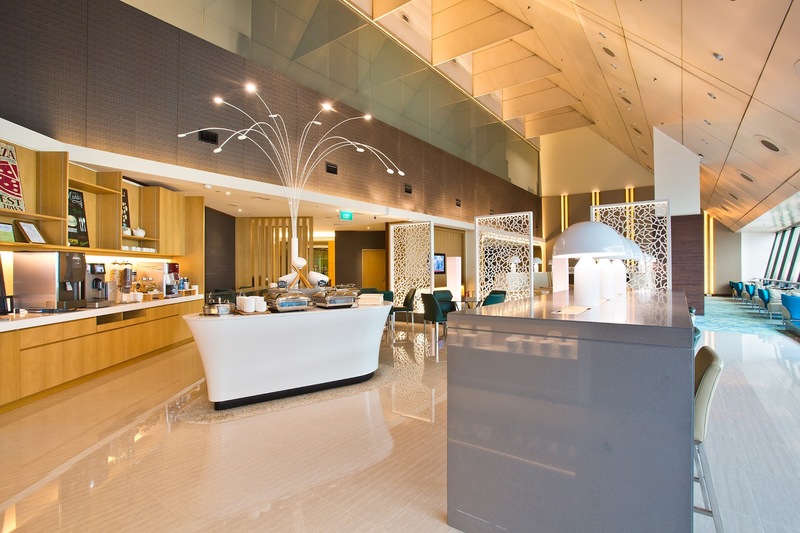 When it comes to airport lounges, you know you’ll have a place to escape the rush of the airport terminal, and grab a bite to eat, and wash it down with a hot or cold drink. Some may provide business facilities, while others may have an area for children to play in. Each lounge is different in its own unique way, and with over 1200 available to our Members, the “once you’ve done one, you’ve done them all” rule does not apply here. We wanted to share with you a selection of lounges with a difference, which are all available to Priority Pass Members – all you have to do to visit, is travel there! Lanzarote one of 7 islands in the archipelago of the Canaries, just off the coast of Morocco, it’s the fourth largest of the Canary Islands. The capital of the island is Arrecife, which is where the airport is housed. If you’re thinking of taking a vacation there, it has excellent art and culture, as well as plenty of natural wonders. Being a volcanic island, the landscape is out of this world, and you can see it in all its beauty at the Timanfaya National Park. Although the island is quite small, you’ll need to rest your legs after exploring – and the beaches are the perfect place to lay back and relax. Puerto del Carmen has around 6 kilometres of golden sandy beaches, with stylish studio apartments overlooking the sea. When it’s time to leave, Sala Guacimeta lounge is perfect for our Members. 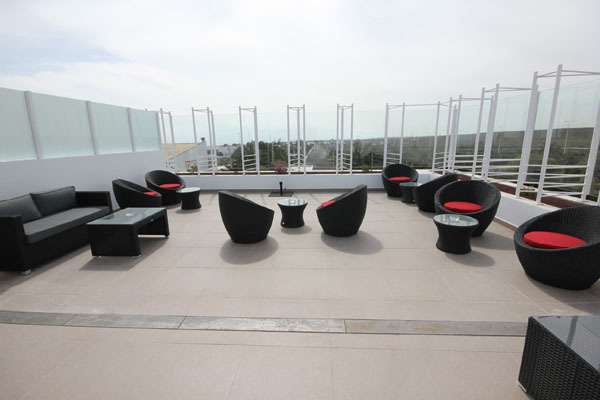 If you’re not ready to step out of the heat and into the airport’s air-conditioning system, there’s an outside terrace where you can soak up those last rays of sunshine before hopping on the plane. Atlanta is the busiest airport in the world by passenger traffic, and it’s been that way since 1998. With 5 runways, and over 1,000 flights per day, it’s safe to say that you’re going to need to find solace from the busy airport terminals. At Atlanta, Priority Pass has something on offer which is a little bit different to the usual lounge. In exchange for your lounge visit entitlement, you can have 1 hour’s stay in a suite. You have a private room which includes a desk, TV, day bed and a Nap26 audio program, which helps you to achieve a good power nap. Atlanta is a hub for connecting flights, which means some passengers are left with long layovers whilst waiting for their onward journey. 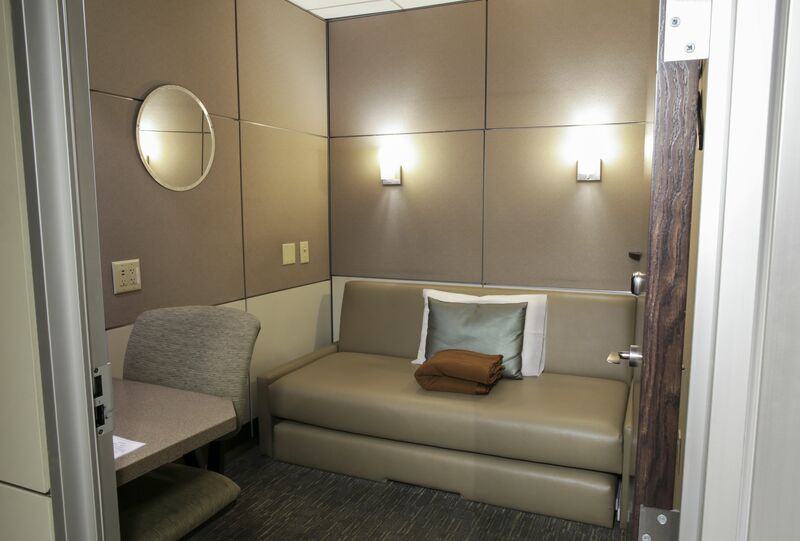 Minute suites provide a comfortable place for passengers to relax before their flights, and charge their devices at the same time. Beats trying to catch 40 winks on the terminal floor! The capital of Brazil and UNESCO World Heritage site, Brasilia’s airport connects flights to other major Brazilian cities and is the third busiest airport in Brazil. It served as a host city for the 2014 FIFA World Cup, 2016 Olympic Games and the 2013 FIFA Confederations Cup. 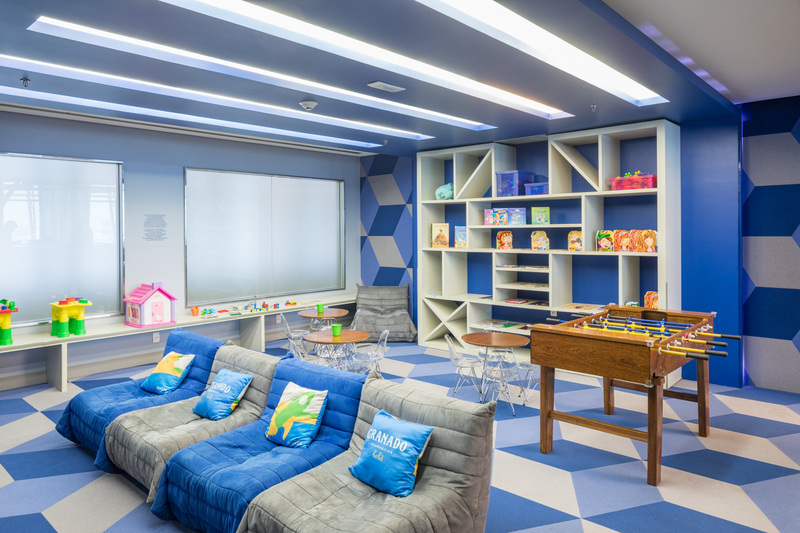 If you’re visiting Aeroportas VIP Club lounge, you may think this is just your normal run-of-the-mill lounge – however, we’ve added it to our list as we think the children’s room is super cool! Painted in vibrant colours with geometric patterns, comfortable “gamer chairs” sit in front of a foosball table, and smaller tables and chairs fit for kids are dotted around the room. It’s a great place for your child to meet and play with other children, while you know they’re safe and can see them from where you sit. Situated in Terminal 2 of the grand Singapore Changi International Airport, the Ambassador Transit Lounge throws up a bit of a curveball in terms of lounges. It’s got everything you could possibly need, as well as being in a fantastic location. For the seasoned travellers among you, you may realise that terminal 2 is home to the spectacular Sunflower Garden, and this lounge is situated right next to it. So you won’t need to trek up and down the terminal to see the majestic view of the sunflowers, then check-in to your lounge. So now you’ve seen a selection of our lounges, why not go out there and visit the amazing places in which they’re located, knowing that they will be there for you on your return journey. If one of these are luckily enough in your home airport, then that’s the perfect excuse to go and book more flights, right? !